Did Teairra strive to change her life once and for all? 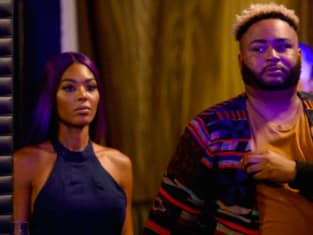 That was the big question on Love & Hip Hop: Hollywood Season 4 Episode 8 when those closest to her realized she was reverting back to her old ways. When the gang decided the only way to get through to her was via an intervention, it became clear there was going to be a lot of drama. Meanwhile, the tension between Masika and Alexis reached a crazy new height, and everyone wondered whether they were going to have to pick sides. Also, Marcus decided it was time to get some answers about what was going on, so he went after Brooke and Booby in epic fashion.